Sams Town is located on Boulder HighwayFlamingo which means the Hotel is Off Strip. If you have a car. Good news—no paid parking. If you like casual dining, good food moderate prices, try TGIF. Buffet more to your liking, I have been a fan of The Firelight Buffet. Terrific food, wonderful desert section super nice servers, like Cindy And Vicky. Breakfast at 7, lunch at 11, dinner starts At 4. Line up early. The buffet is located next to Mystic Falls. an indoor outdoor park. And of course a cinema with the newest choices for movie goers. Sams Town is a relaxed hotel casino for a change of place. I love Sams. And I used to live in Las Vegas for 30 years. Very nice place,but farther away from the strip than I thought. Nice overnight stop for a decent price, which is hard to find in Vegas. They have shuttles to take you in to the strip. Very nice and clean hotel. We will come visit the place again! It’s a nice hotel but my non-smoking room smelled like cigarettes. Clean comfortable hotel. Beautiful center spot with food court. Great Vegas NY, to class sportsbook.. everything needed for a great Vegas weekend under a single roof! Checking in was not as smooth because we didn’t get the room we booked on orbitz but the receptionists went above and beyond and helped us find the room we booked. Located in Sunrise Manor, Sam's Town Hotel & Gambling Hall is adjacent to Boulder Strip and within a 10-minute drive of other popular attractions like Sam Boyd Stadium. This 645-room, 3.5-star resort has conveniences like a casino, an outdoor pool, and a 24-hour fitness center. Relish the American cuisine at The Angry Butcher, one of 5 onsite restaurants. 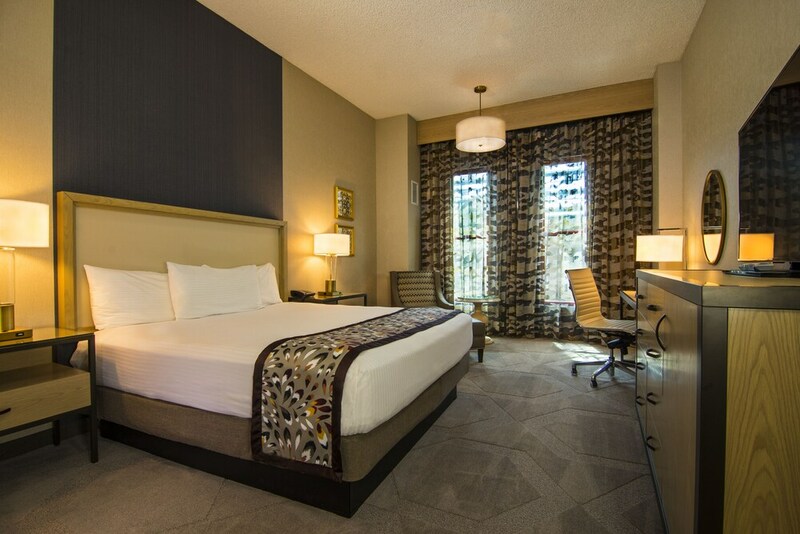 Savor a meal from the privacy of your room with room service, or get a pick-me-up at the coffee shop/café. Start your day off with buffet breakfast, available for a fee. A flat-screen TV comes with cable channels and pay movies, and guests can stay connected with free WiFi. The bathroom offers hair dryers and free toiletries. Other standard amenities include a refrigerator, a coffee maker, and a video-game console. At Sam's Town Hotel & Gambling Hall, guests enjoy a casino, an outdoor pool, and a 24-hour fitness center. There's free parking and limo/town car service. The front desk has multilingual staff on hand 24/7 to help with dry cleaning/laundry, securing valuables, and luggage storage. Additional amenities include free WiFi in public areas, conference space, and an arcade/game room. I’m so glad that your visit met your expectations! Thank you for sharing your experience with us, please come back to visit us again soon. Thank you for visiting us! We appreciate your comments and look forward to seeing you again soon. Thank you for your recent visit to Sam’s Town and for sharing your experience. Please come back to see us again soon! We sincerely apologize that your experience was not satisfactory. If you would like to discuss it, please contact us. We appreciate guest input on how to improve our operations. Thank you for your review, and we hope you’ll give us another chance to delight you. The Angry Butcher - Restaurant and bar specializing in American cuisine. Open daily for dinner. Firelight Buffet - Buffet restaurant specializing in local and international cuisine. Open daily for breakfast, lunch, and dinner. Recreation features at Sam's Town Hotel & Gambling Hall include an outdoor pool and a 24-hour fitness center.